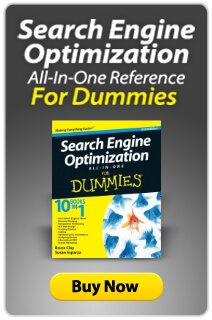 Many people in the search community have been saying SEO is dead for years. And with the emergence of new, important disciplines within search marketing and dramatic changes to the search engine algorithms in the past year, some speculate the end of SEO is near. But the fact is, SEO, just like the search engines, is a changing, evolving affair that is grounded in critical methodologies but flexible enough to reinvent its strategy when needed – all with a primary goal in mind: To help businesses reach their goals through increased visibility online. Sound SEO raises the quality of the content on the Web by working in tandem with search engine algorithms to create a great experience for their users. This is something that will always be a necessity. Can you juggle? How big is your hat collection? Have you ever considered a rewarding career as a cat herder? In-house SEOs may have answered: yes, impressive and it's already on my business card. As a multi-hat wearing, juggling cat herder you work to keep your organization in sync with communication goals, in-line with brand messaging and maintaining an outstanding industry reputation. You petition for budget, mediate the needs of multiple departments, and promote ways to improve search visibility across the organization. One thing that's certain, an in-house SEO can't work alone. Inter-department cooperation is critical. SEO initiatives frequently require participation by executives, directors, business departments, editorial and creative deparments, technical operations, and web development departments. And so, wrapped up into the job duties of an in-house SEO is the responsibility of SEO evangelist. Yet another year has passed in the SEO industry, and if you thought 2010 was busy, 2011 has proven once again that the Search Engine Optimisation industry is changing more rapidly year on year. Navigation isn’t a popular topic, but having seen its evolution and its effect on CRO, we decided to do some research, specifically around e-commerce navigation. Special thanks to the folks at the Wayback Machine who created the digital capsule that allowed us to take screenshots of navigation from a time long forgotten — 1998 and beyond! Navigation plays a vital role in making sure a Web surfer will stay on your website rather than bounce out. If a user can’t find what he is looking for, he is likely to bounce off your website. If you run an e-commerce website where a sale or a bounce is just one click away, navigation becomes even more critical. A clear, organized and consistent navigation will help users find products in the minimum number of clicks. The SEO Newsletter Turns 100 in March! No, it hasn't been a hundred years since the SEO Newsletter was born, but it has been 100 publications since its inception in 2004. Stay tuned for special highlights in next month’s edition of the SEO Newsletter in commemoration of its 100th birthday; plus, we debut a makeover of the SEO Newsletter design that you see in your mailbox each month just in time for the 100th edition. We're very proud of the content our SEO Newsletter has provided to the community over the years, and we hope you feel the same way, too. Stay tuned for a survey that you can participate in to help us make the SEO Newsletter a publication you want to read for years to come. And thanks for your continued readership! Pinterest, the social network built around a virtual pinboard interface, has shown explosive growth, reaching 10 million U.S. users faster than any service to date. The first months of 2012 have given the social media debutant plenty of attention. A look at Google Search Insights shows that early media coverage heralded the service as a standout in a crowded social media space. Skyrocketing growth suggests fatigued social media users were indeed looking for something new; the low level of investment required to participate coupled with dazzling visual rewards seems to have proven a winning combination. The marketing and business community has been quick to dissect Pinterest in search of conversion-driving opportunity. Businesses are finding different ways to use the service, to interesting effect. Using it to collect infographics that drive traffic. Using it as a brand channel and to provide behind the scenes of the company and company culture. 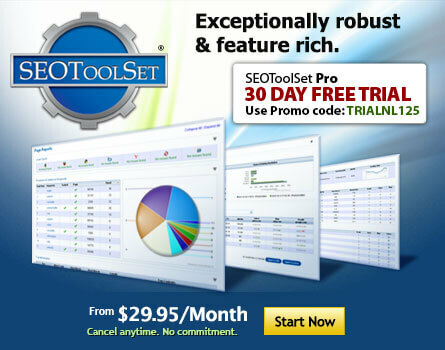 Using it for SEO support for backlinks, search insights and keyword research. It's also important to know who's using Pinterest. Pinterest users are predominantly women, at 80 percent. And the average user spends 15 minutes a time on the site. If you decide to add Pinterest to your online marketing portfolio, remember the marketing fundamentals as you play with the shiny new platform. With Pinterest, as with all channels, conversion rate optimization should underlie your efforts to ensure ROI at the end of the day. Yahoo co-founder Jerry Yang resigned from the Board of Directors and all other positions with the company after 17 years. Google employee number 3, only behind founders Larry Page and Sergey Brin, left to join Khan Academy. Craig Silverstein held numerous technology positions since joining Google at its founding in 1998, and is now working on a variety of projects at Khan Academy. Blogging platform Tumblr has hired Chris Mohney to serve in a newly created editor-in-chief role. Mohney, formerly SVP of content at a media company, will cover trends and users in the community on the company staff blog and a new area of the site. Internet marketing agency BlueGlass Interactive acquired content marketing agency Voltier Digital. The latter specializes in infographic creation and data visualization and has produced dozens of graphics which are published on major blogs following explosive popularity. In its announcement, BlueGlass Interactive stressed the importance of content marketing in the digital marketing future. Media mogul Lachlan Murdoch has been elected non-executive chairman of Ten Network with the company’s existing chairman Brian Long taking on the deputy chairman and lead independent director. SMX West will take place in San Jose February 27 to March 1, including a one-day SEO workshop by Bruce Clay. Bruce answers the question: Ranking monitors -- do they work?" in a theater presentation on February 28. He will also take part in the Ask the SEOs Q&A forum on March 1. Bruce Clay, Inc. is a gold sponsor of SMX West. Conversion Conference West hits San Francisco March 5 and 6. DemandCon will be in San Francisco March 5 through 7. A Federated Media event on how to reach customers through both established platforms and the independent Web takes place March 21 in San Francisco. SES New York will be held March 19 to 23 with Bruce Clay's one-day SEO training on the 23rd. Bruce Clay, Inc. is a silver sponsor of SES New York, and Bruce will speak on the session SEO is Dead. Long Live SEO! on March 21. Social Media Strategies Summit takes place in Chicago April 18 to 19. The newly updated SEOToolSet® standard and advanced training and certification course will take place in Simi Valley, CA, on March 12 to 16. Bruce Clay Europe will present a two-day SEO training course in Milan, IT, from June 19 to 20. Google+ has improved spam comment blocking and reporting. Users now have the option to remove a comment, restore a comment or "remove and block" a commenter. The first official Facebook conference for marketers, being called fMC, takes place at the end of the month in New York City. The invite-only event underlies the company's intent to encourage advertising with the social platform. The Google bar was updated, and along with it, the minimalist Google home page saw the first addition of a non-search feature. A field for sharing on Google+ was added to the top right corner of the Google home page, where it remains on the Google bar as a user navigates through Google properties. American Express' Small Business Saturday, launched in 2010, saw a boom in 2011 with an estimated 103 million Americans buying from small and local businesses. American Express has successfully invigorated brands and changed consumer behavior through its efforts supporting the small business community. A tool that allows for managing and analyzing social media accounts across platforms, Social Insight, is now available in Japan for the business community. Japanese mobile messenger application, Line, has reached 15 million downloads and is growing throughout Asia. A video call feature for the app, as well as a PC and tablet version, is expected for release soon. On February 17, Ale Agostini of Bruce Clay Europe was invited to speak on measuring the effectiveness of SEO to BIT (Borsa Internazionale del Turismo) in Milan, one of the world's most important events for the international tourism industry. Co-chairman of the World Wide Web Consortium (W3C) has appealed to the programming community to not overlook Firefox, Internet Explorer and Opera browsers when programming for the Web. Apple Safari and Google Chrome's dominance is threatening the open Web as programmers have taken to commonly using features only supported by WebKit - a rendering engine for Safari and Chrome. Facebook filed an initial public offering, and the company is expected to be valued between $75 billion and $100 billion. The company had $1 billion profit last year, and 85 percent of revenues come from advertising, with social gaming and fees making up the rest. Bing is testing a new design for its search results. The look has more white space as a result of the changes, which include the removal of links from the header, the removal of location information, the removal of vertical tabs and icons to replace some text. YouTube changed its terms with content partners - video owners that share ad revenue - requiring that partners' videos play on all platforms. Previously, content partners could choose not to allow their content to play on some devices, and could in turn make separate deals with distributors like Netflix or Xbox. LinkedIn blew away Q4 earnings estimates, with premium subscriptions and marketing solutions revenues showing huge growth. The company also reached 150 million members. The number of Apple devices and computers sold to date paint a fascinating picture of personal computing and the history of the company. Apple sold more iOS devices (156 million) in 2011 than it sold Macs (122 million) in the 28 years of their existence. A new report of how Americans spend time and money toward media consumption shows that consumers increasingly make Internet connectivity a priority. The percent paying for broadband Internet is up almost 5 percent. Homes subscribing to wired cable has decreased. And households that subscribe to broadband Internet and free cable TV are streaming twice as much video online as the general population. New research reports that in the past six months, 59 percent of Facebook users have "liked" a brand or company page. The survey suggests that "likes" gained by a brand mean a user is only 13 percent "much more likely" to purchase from that brand. A version of the Google Chrome browser for the Android mobile operating system has been released in beta. Chrome for Android does not support Adobe Flash. Apple is expected to announce the iPad 3 in early March, featuring improved graphics processing unit and around a 2048 x 1536 Retina Display. Apple credits iPad innovations as inspiration for the new Mac OSX Mountain Lion, set for release in summer. U.S. and E.U. regulators gave their approval for Google to acquire Motorola Mobility, one of the biggest Android hardware makers and a company with a portfolio of 17,000 patents. The sign-off came with a warning that Google not abuse the patents or it may face antitrust scrutiny. Hacktivist (hacker activist) group Anonymous brought down the CIA website. The DDoS attack was the latest act of protest against law enforcement agencies and copyright holders, retaliation for a raid on file sharing service Megaupload. Which is used more in Japan, Yahoo! or Google? A newly published survey of Japanese search engine use shows that Yahoo is the most popular search engine, and Yahoo users are more likely to make multiple searches in a day compared to Google users. On Valentine's day, the highest volume search phrase on Yahoo! was "How to tie the ribbon," offering insight into the gift-giving minded population. The online Australian advertising market grew 17 percent year-over-year in 2011 to $2.66 billion, defying the challenges facing the broader media market. The results revealed the online advertising market has slowed from 21 percent growth in 2010 to 17 percent in 2011, with search and directories leading the growth. On February 6, a search engine called Volunia, developed by Massimo Marchiori and a team of 14 Italians, was launched following three years of development. Marchiori is also the creator of HyperSearch, which is credited for shifting the focus of ranking based on single pages to the relationship of pages to the rest of the Web. Volunia is different from the other search engines, like Google or Yahoo, because it is based on interactions of the users. Being called a "third generation search engine," Volunia builds the ranking of websites through the comments or opinions of the people. As Marchiori says "Volunia is a Social Search Engine, that it allows people to share their experience on the web, Volunia is not a competitor of Google. With Volunia, it will be possible to search for something and also to meet other people who are searching. That’s why we have called it Seek & Meet." Volunia is currently in beta. Use the sign-up form to try it out.